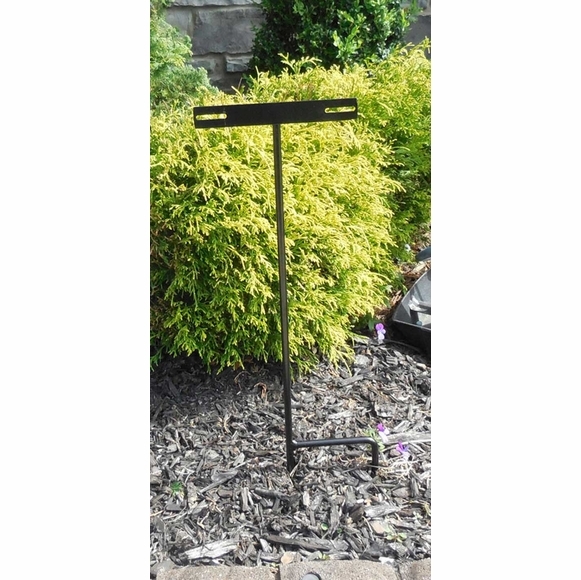 Home > Address Plaques > Sign Mounting Hardware, Brackets, Posts & Accessories > Address Sign Lawn Stake 24"
Address Sign Lawn Stake - - constructed of solid steel. Made in USA. Solid steel address sign lawn stake. If using with your own sign, the sign must have center to center holes between 5" and 7"; the overall width of the mounting plate is 7.5". Made in America. Special order.